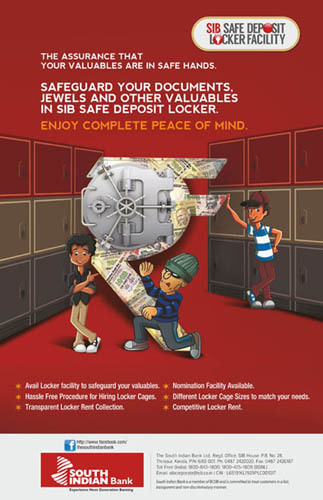 For the information of our valued customers, we furnish below the Branches where lockers are readily available for hiring. You are requested to contact the Branch to avail this facility. Please note that the position of avilability may be confirmed with the Branch also. PALAI Phone : 04822-212424, 214063.